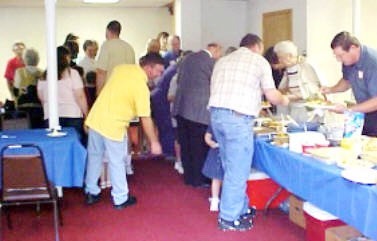 Just look at the buffet; don't you wish now that you had been there! Charles Higdon leads the line; directly across is Denton's son Todd. Nothing bashful about these two guys.